Sell your iPhone to Gazelle. It takes just a few minutes to sell your iPhone. To sell your old iPhone or not to sell, that is the question. Considering how valuable iPhones are, even after depreciation, it's really a no-brainer. We hear from customers all the time, who say, I need fast cash but I don't know how to sell my iPhone. Gazelle is a super-fast and efficient way to sell iPhones, no matter where you live. We can also assist you with your iPhone trade in, and with other popular devices too. How easy is it to sell your used iPhone? Our website will prompt you with a few questions, to identify your phone and determine its value. Once you accept our offer for your iPhone, we'll send you a box so you can ship it to our office. Gazelle even pays your shipping. When we get your phone, our inspectors assess it. 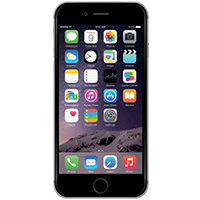 If we find that your iPhone carries a higher or lower value than we originally thought, then we will adjust the price and send you an email with a new offer. If you decide not to sell your device, we'll return it to you, no questions asked. You pay nothing, risk nothing. Getting fast cash in your pockets for those old devices has never been easier. When you are ready to check out, you'll be asked how you would prefer to receive your money: via PayPal, check, or an Amazon gift card. Gazelle's cash for iPhone offer expires after 30 days, so the faster you send in your iPhone, the faster you'll get your money.